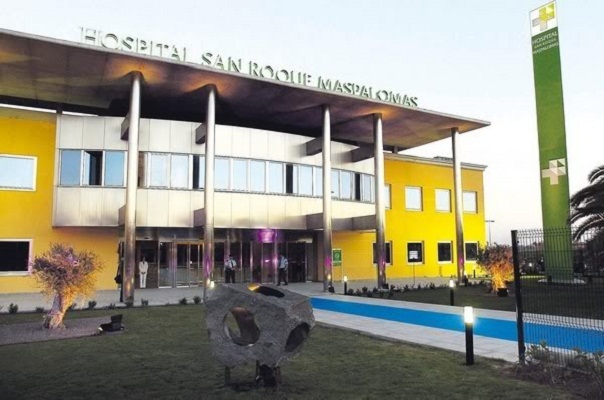 The main holiday resorts are far from short on medical centres, there's also a very good health centre close by and an excellent hospital in Las Palmas. The local chemist here sells, what we in the UK would class as, prescription drugs over the counter. You don't need to see a doctor or have a prescription before you buy many of them. If you do buy medicines over the counter, make sure you read the information carefully on the packaging. If you can't find instructions in your language, have the information translated and if you're still in any doubt, consult a medic before taking anything! The best advice to give is be careful and take out a good travel insurance policy that covers your health whilst you're here and then you won't really have to worry too much. Bring a few essentials with you, headache pills, something to settle the stomach, a tube of antiseptic cream and a couple of plasters. If you're looking for the simpler remedies for the stomach or head, these along with any other medicines have to be purchased from a chemist and not the supermarket. The main chemist in Puerto Rico is in the Commercial Shopping Centre at the bottom here, you'll find it at the front, more or less opposite McDonalds and there's a second located opposite the main harbour, near the beach. . Don't be surprised if you're paying double the price you're used to paying. If you're coming to Gran Canaria as part of a package holiday, one of the first things you should get aquatinted with when you arrive at your apartments, is which medical centre your representative recommends and note its telephone number. This should be on display where you can always see it, usually next to reception. All medical centres have someone on call 24 hours a day but again, their services aren't cheap so that's why a good insurance policy can be essential before you travel. Write down the emergency number and keep it with you at all times. Personally, I would recommend Clinica Salus in San Agustin. The Spanish health & hospital system works very differently from the UK system so I'd imagine from others as well. Getting emergency treatment or an ambulance from the National Health System isn't so easy and you should should be using your private insurance anyway. If you really are travelling on a budget then an alternative for UK holidaymakers is the European health card so make sure you bring that with you. This will get you treatment in any of the island's health centers and hospitals. On Gran Canaria only emergencies go straight to hospital or in an ambulance, for any other illnesses you need to go to a private or state medical center first for treatment. If you find yourself in medical difficulties whilst on holiday and without the propper holiday insurance, you can phone the Medical Benefits Agency in the UK on 00 44 191 218 7547. Then there's the hospital in Las Palmas. Although the only way you're likely to go here is in an ambulance, if you need to phone the hospital for any reason, their number is 928 441 000. If you need an ambulance, dial 112. The main problem you're likely to face here is burning, sunburn or maybe heat exhaustion which will be followed by vomitting. So maybe you could check with your GP what's the best thing to do if that happens. Whether you're inclined to burn or not, use good protective creams as the sun really can be fierce here for most of the day. Everyone arrives saying they're going to be careful. It may be just the shoulders in the end but most people leave having being burns somewhere. Prevention is better than cure though, so take regular breaks out of the sun, even if it's just to swim, and drink plenty of cool, non-alcoholic drinks throughout the day. The water here is safe to use for washing food and cleaning your teeth and so on but bad stomachs do tend to be a problem here, although I strongly believe that's linked to the low price of alcohol. Drink bottled water, a 5 litre bottle costs around 80 cents. Ice cubes in bars and restaurants are made from bottled water too, so are safe to consume. If you're diabetic then check ahead and ensure that your apartment has its own fridge. Whilst most complexes provide a fridge in their apartments, not ALL do. In Puerto Rico for visitors from the UK, there's a British Medical Clinic with UK doctor and registered nurse located in Residential La Marina on Avenida Roca Bosch and their phone number is (00 34) 928 56 00 16. As from January 2005, the E1 11 form will no onger be a valid document here to receive medical treatment. It is to be replaced by a new "European health card" known here as a "Tarjeta Sanitaria Europea".